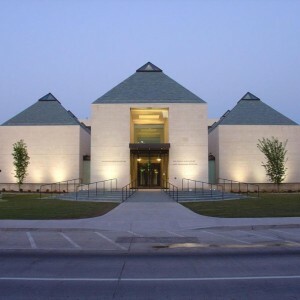 The Fred Jones Jr Museum is a long-standing part of the Norman, Oklahoma landscape. But just because something has been around for a long time, doesn’t mean that everyone knows everything about it. Here are 4 things you might not know about the Fred Jones Jr Museum. The museum was opened in 1936 by Prof. Oscar Jacobson. His dream was to build an art department which would nurture its students. Before this museum and art department were started, the closest museum was in St. Louis. The school was also scarce on art supplies. None of this deterred Prof. Jacobson. And the museum was originally housed in a hall that bore his name. The museum is named for a World War II veteran, Fred Jones Jr. During his senior year at the school, Jones was piloting an airplane and the aircraft crashed. He had fought in World War II and was majoring in business administration. The permanent collection consists of more than 17,000 pieces of art, including French impressionism, and Native American art in 5 collections. Exhibitions are also to be found at the museum, and at the time of publication, there were 5 special collections available for viewing. Admission is free due to a unique arrangement with the athletic department. In a first-of-its-kind relationship between the art department and the athletic department at OU, the museum offers free admission now and will do so into perpetuity. What a great community of supporting one another! The Fred Jones Jr Museum is sure to be a great adventure. You’ll be able to travel the world through the amazing art, all while never leaving the ground in Norman. If you are interested in viewing the amazing art, the Montford Inn and Cottages are within walking distance of the University of Oklahoma, and offer a one-of-a-kind guest experience, specifically with our homemade breakfasts and yummy afternoon/evening snacks. We invite you to check out what we have to offer.